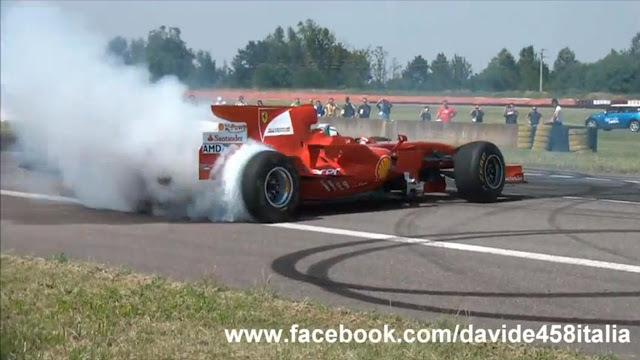 In the video below you can see the full throttle acceleration of the supercar Ferrari F2008, on the Vairano track, during the Raduno dei Raduni 2012 organized by Quattroruote. The car of Formula One was driven by Davide Rigon, official tester of Ferrari. In the video the launch, accelerations in the straight stretch of high speed, upshifts and downshifts, burnout and a lot of smoke for exite the crowd!